If you are looking to file a lemon law case in Texas, dont waste your time. For the most part, there is not a lemon law in Texas. A dealership manager looked me in the face and told me this. I went throw an Texas Department of Transportation lemon law trial anyway. Transportation if your invoice repairs will be throw out and the reason. The Texas Department of Transportation lemon law trial was a scam. The four-time test and serious safety hazard test were completely overlooked by the Judge. what the invoice said. Thats what happened! I couldnt believe what was happening! act up. At the hearing I had to test drive the Audi with the Judge. On the test drive nothing happened. The Judge said the Audi was fixed. 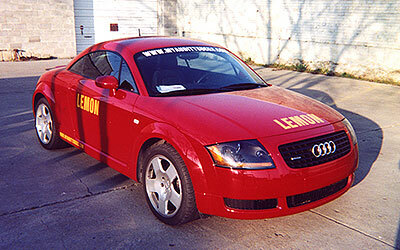 After the bogus lemon law trial, I found out Audi had tons of recalls. The recalls backup the invoices information that Judge did not care about. I emailed the Texas Department of Transportation about the recalls to see what would happen. I have still been tracking your website. assist you with the problems. about two months to repossess a car. year and purchase a new car that works. Yes I did buy another car. you forget this happen several times? it until the manufacture admits there's a problem. Who can afford to do that? I called Brian H. Clapp several time. No response. the Case, Docket number and contact information for your enjoyment. Note: The automobile companies fund the Texas Department of Transportation. _____Dose this have anything to do with the way they judge?